Mumba lightweight and small space heater, designed for personal use in office & dormitory while working, studying, gaming, or watching TV. Keep you or your pets warm this winter. The newest PTC ceramic heating technology is flameless and lacks red light, heating up rapidly. The outer case made with insulation material, which is safe to carry with while heating. The built-in thermostat will automatically shut off the heater if sensors the internal temperature reaches over 176°F (80°C). The tip-over protection will also activate if sloped. No issues using on carpet. Get warm and stay safe. The base has an oscillating device which makes the heater oscillate up to 50 degrees. Blow heated wind to a large space. Heats up in 10 seconds. Coverage 40-90 sq.ft , temperature rises 5-10 degrees over ambient. 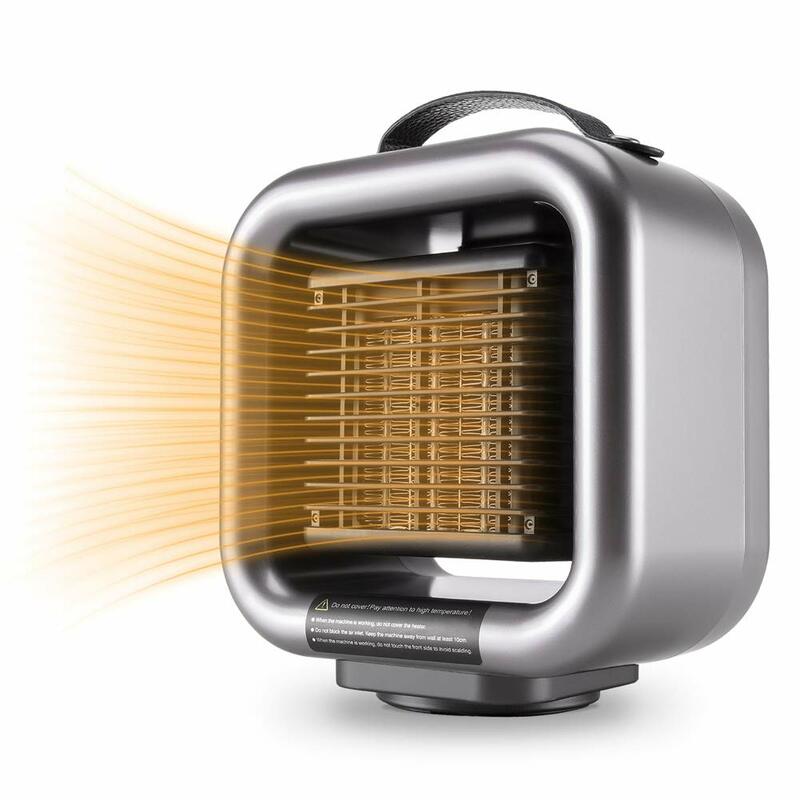 Mumba space heater has a top handle which makes it convenient to carry with. Unique and compact design. *Don't cover the machine while working. **Don't block the air inlet. Keep the machine away from wall at least 4inch (10cm). *** Don't touch the front side while the heater working to avoid scalding. ****Please do not use the heater near areas surrounded by water such as a bathroom or swimming pool. If you have to use it in the bathroom, please make sure it is dry enough to prevent the risk of short-circuit or electrocuting yourself!